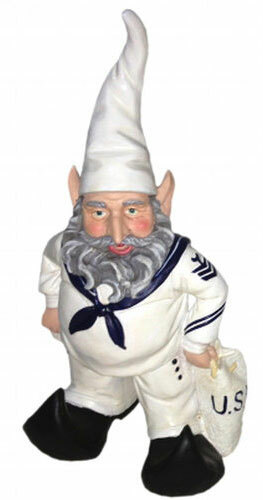 Ready to lead, ready to follow, this U.S. Navy Garden Gnome never quits! Sometimes mistaken as just a handsome Navy Sailor in town for the weekend, this Navy Gnome actually is on the job, on his adventure. Proudly protecting your garden and diving the world over. "Honor, Courage, Commitment." - From the U.S. Navy Core Values.